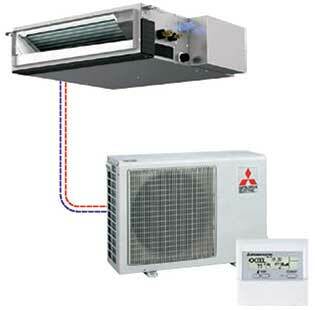 Conversely, on cold days the pump will flow heat energy into the home from the outside. Mr.Slim™ – M Series provides state of the art air purification using Catechin, a bioflavonoid found in green tea and known for its deodorizing, anti-bacterial and antiviral properties. The anti-allergy blue enzyme filter traps common household allergens such as dust, pollen and mites and transforms them into harmless proteins. 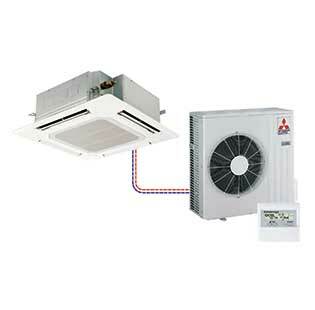 The industry first i-see Sensor measures hot and cool spots in the room and focuses airflow to that area. 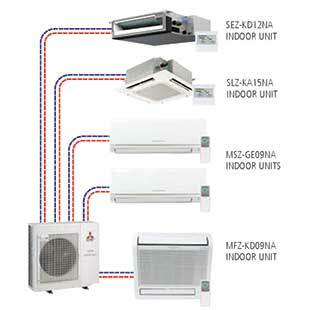 This maintains your desired air temperatures and prevents excessive heating or cooling. The i-see Sensor is available on select M-Series FE models. You may not even notice the Mr.Slim™ system is on. The indoor units are quieter than a whisper at 19dB, and the outdoor units are a mere 46 dB – something your neighbours might be thankful for! 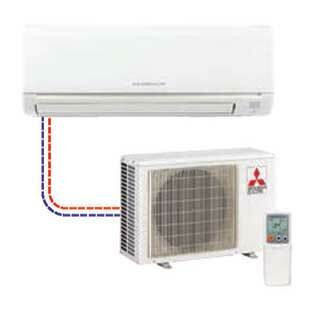 Choose the Mr.Slim™ M-Series and rest comfortably with a 10 year manufacturer compressor warranty.